Internal Revenue Service (IRS) The IRS has the best free classes around! Call your local office to find out when the home business or sole proprietorship classes are held. The home business class is a half-day class; the sole proprietorship class is a full day. The difference between these two classes -- the extra half day -- is spent dealing with employee tax information. Take a class every year. Expenses are deductible and I bet you will learn quite a few things each year. Local Authorities Let's look at some local taxing authorities. In some states, the Department of Taxation provides monthly classes for new business owners. 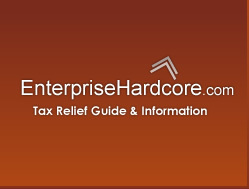 They cover state-specific topics such as business income tax, occupancy tax and sales tax. While we're on the local level, don't forget to contact your county, city or town revenue offices, too. Yes, everyone gets in the act of collecting some sort of tax! It could be yearly, quarterly, or monthly. At the very least, call each entity to see what they need from you and what materials or classes they provide. Don't want to call? The end result is fines and penalties later on -- usually many times more than you would have paid in the first place. Web Sites Although the IRS is the premier source for tax information, below are other suggested web sites to visit. Peachtree and Intuit (Quicken, QuickBooks) offer bookkeeping, accounting and tax software. Sandy Botkin, CPA and attorney, is one of the most well known national lecturers in the field of tax reduction and audit proofing techniques for small business. CPA or Bookkeeper? Besides trading on Wall Street, I was an Operations & Accounting Manager. At one point, I had bookkeepers and a few CPA's working for me. I was able to sign off on the work performed by the bookkeepers but I wasn't unable to sign off on any internal audits. Why? Because I didn't have a CPA License! So you can see, there is a difference between a CPA and Bookkeeper. Now-a-days, with Quicken and Peachtree, many of us can set up our own bookkeeping and send out invoices - if that is how we choose to use our time. If you are a sole proprietor, you can 1) hire a CPA firm that will also do your monthly bookkeeping 2) hire a CPA firm that will help you set up your monthly bookkeeping system and then you can do your bookkeeping or hire a bookkeeper 3) hire a bookkeeper to do your monthly bookkeeping 4) do it yourself. Personally, I did my own bookkeeping for many years (I was an accounting manager) and then brought my records to a CPA yearly. I keep up with as many tax laws etc. as I can, I guess because I like that sort of thing. Many folks don't though! Know which you are! As my business grew, I hired a bookkeeper and worked with them to set up a monthly bookkeeping system. The system was set up as suggested at the IRS Tax Class I attended - with categories names and in close order to the tax forms I'll use as a sole proprietor (Schedule C & Form 8829). I'll choose the names of the sub-categories based on how I spend money. They also suggested that you set up your file cabinet with similarly named files.